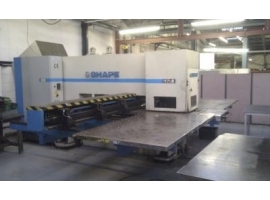 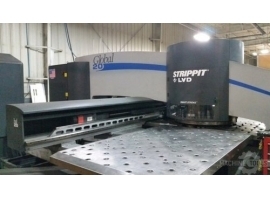 STRIPPIT LVD 1250H30 CNC PUNCH/ LASER 1996 Turret full of Thick Tooling Capacity: .375” Tonnage:33 Ton Number of tool stations: 42 Auto - index (4) 3 1/2” (2) 4 1/2” (4) 3 1/2” (4) 2” (12) 1 1/4” (20) 1/2” Year: 1996 Model: 1250 H/30 Laser Rofin Sinar RS1350SM 1350 Watt Specifications: Tonnage Capacity ................. 33 Tons Table Travel ..................... 50" x 80" Nominal Work Piece Size........... 50” x 80” Maximum Work Piece Size 60” x 160” with Repositioning Maximum Work Piece Weight ........ 849 Lbs. 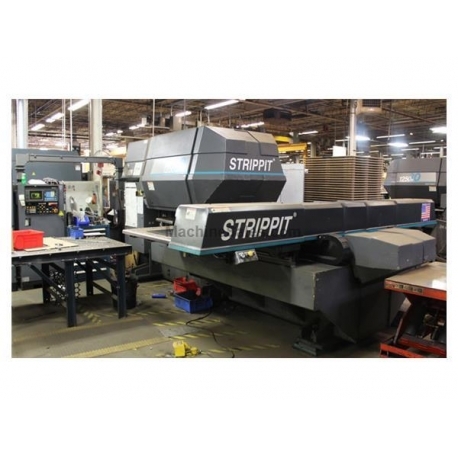 Maximum Sheet Thickness .......... .375” Maximum Hole Diameter ............ 3.5" Hits Per Minute On 1" Moves ...... 350 Axis Speed ....................... 3,200"/Min. 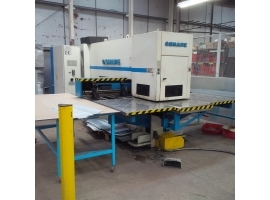 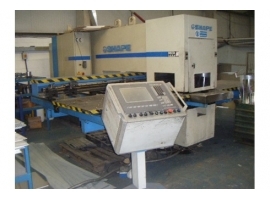 Control: GE Fanuc O-P Equipped With: Options: Multi-Tool Indexing, Sheet Pullout Sensors, Programmable Work Clamps Scrap Conveyor Machine weight: 40,800 lbs.